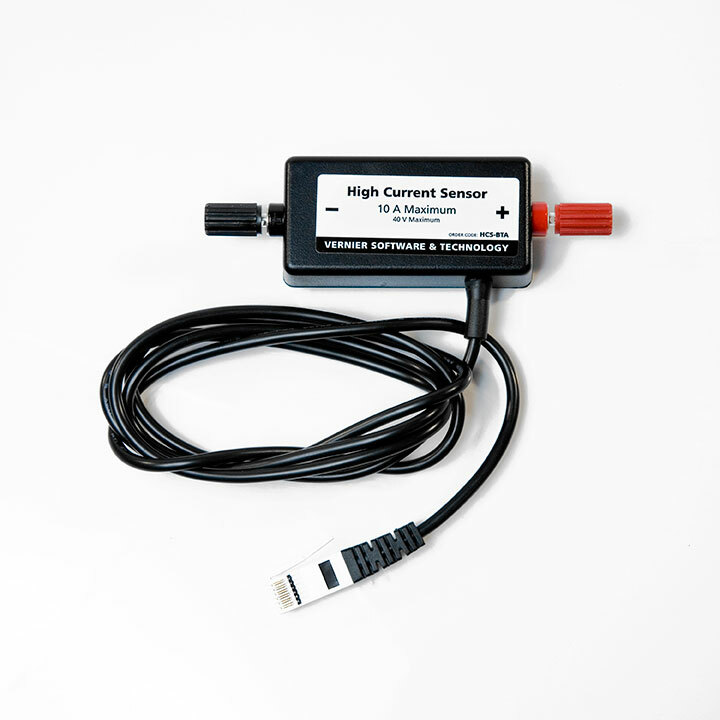 The High Current Sensor connects to the LabQuest and measures the current through a circuit. The LabQuest is a metering device that collects sensor data and has built-in graphing and analysis. It can be used on its own by viewing the data on its screen or it can interface with a computer. There are two LabQuests available, each equipped with powerful data collection and analysis functionality. 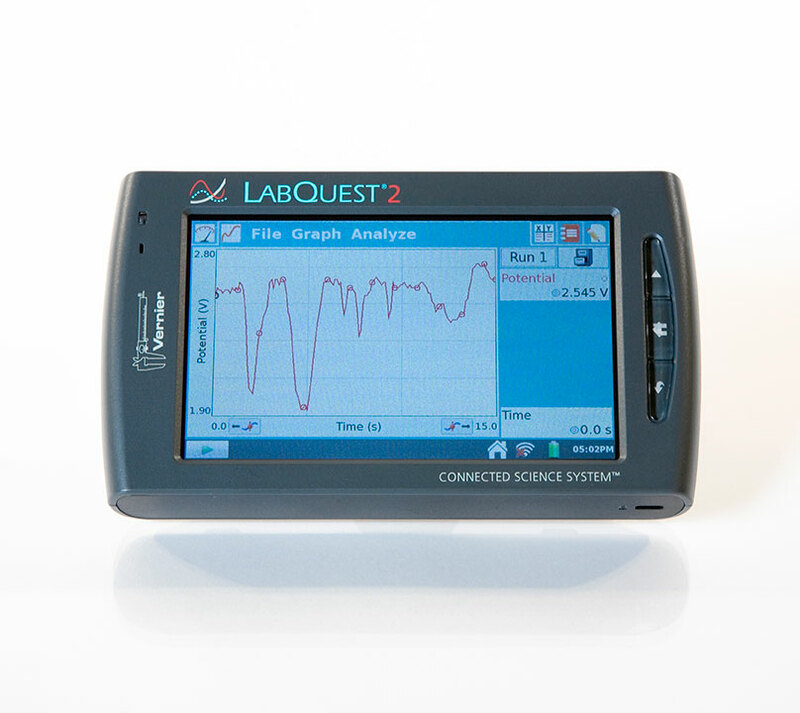 The LabQuest2 also comes with wireless capability, a larger view screen and faster processing speeds. 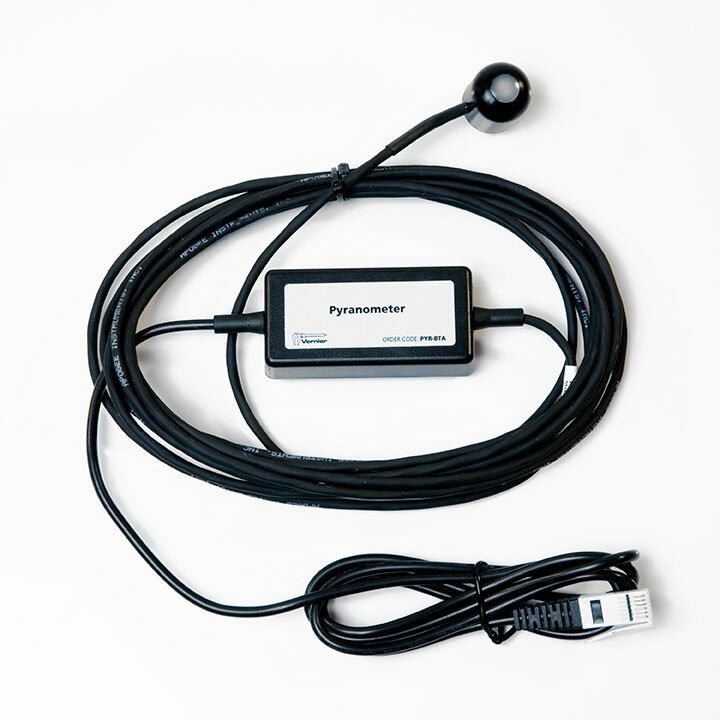 This Pyranometer connects to the LabQuests and measures the amount of irradiance being received at a location—or in other words, the amount of power received in the form of light. 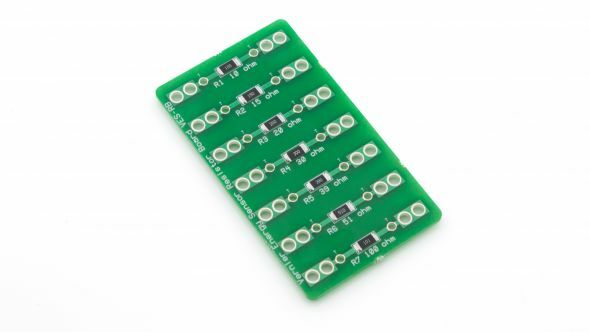 This Vernier Resister Board has seven differently sized resistors mounted on it to allow students to measure the voltage drop and current across a 10, 15, 20, 30, 39, 51 and 100-ohm resistor respectively. 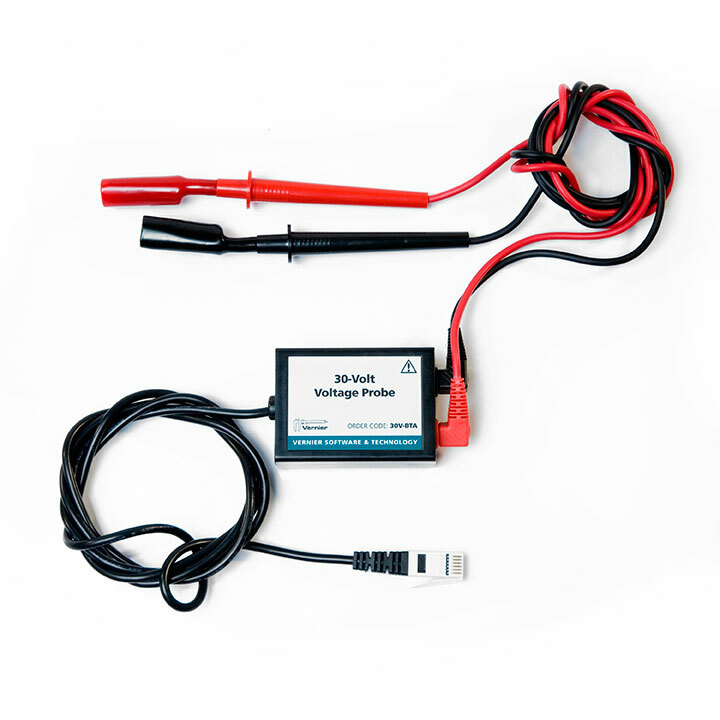 The 30-Volt Voltage Probe connects to the LabQuest and measures the voltage across a device or source.